The Guild Chapel website is a resource for visitors and those wanting to find out more about the historic building. The site provides a portal and showcase with large images and visitor information. 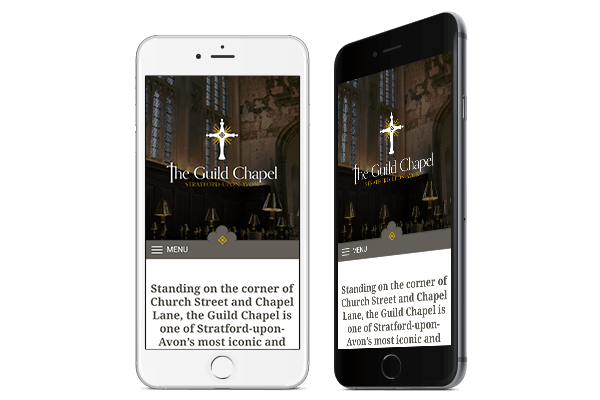 The audience could be accessing the website on their mobiles with the intent to visit the chapel so mobile responsiveness was important. It was important that the website was mobile responsive and looked good on all different devices. 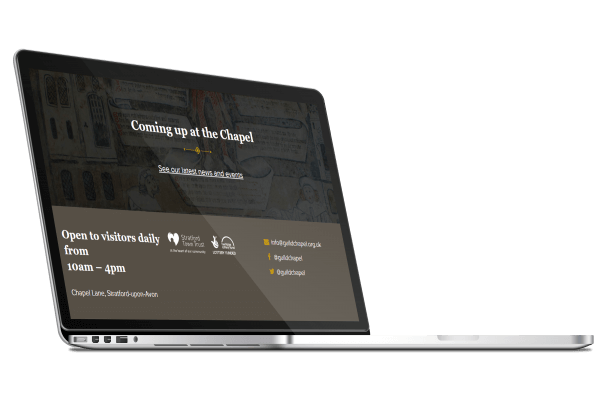 Users thinking about visiting the chapel needed to be able to access the website on-the-go and get relevant information even on their mobile phones. In addition the website needed to be fast and load quickly despite large and high quality images. The Guild Chapel was built in the fifteenth century and is a popular tourist destination in Stratford-upon-Avon with its wall paintings and connections to the Shakespeare family. There is an integrated map for planning visits along with clear contact information. A parallax scroll uses images of the wall paintings giving a real depth to the design. 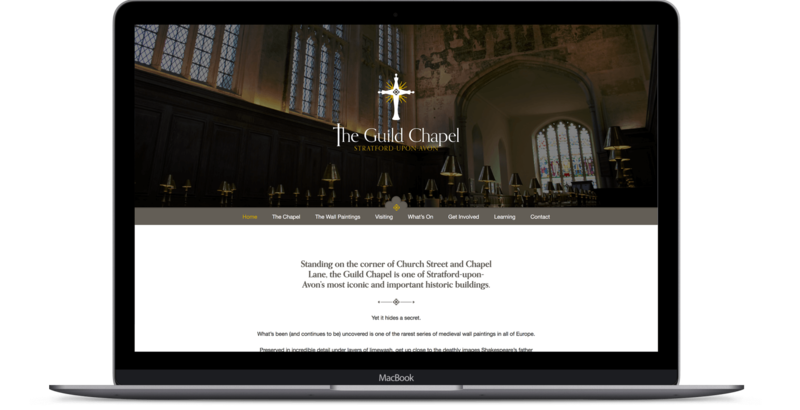 The website is built on the WordPress content management system which the Guild Chapel team can use to easily update the website. New events for visitors, fundraising updates and conservation news are added through the simple WordPress dashboard.